Our name, as it implies, comes from bound collections of maps and also the Greek titan god of endurance. 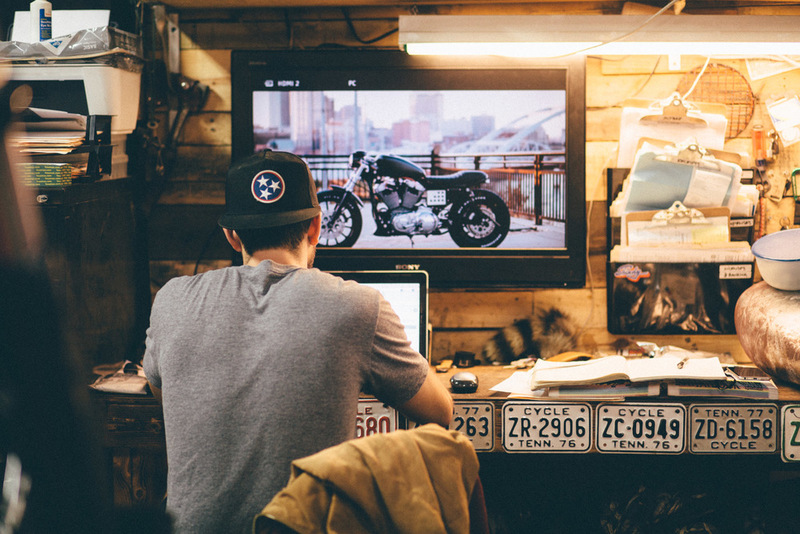 We choose Atlas to represent our all-encompassing approach to motorcycle culture, from custom bike building to a community garage. Set in the heart of Nashville, we wanted to bring something unique and fresh to Music City, with a focus on furthering community through education. Our name represents our dedication to the entirety of motorcycle culture: all skill levels, bike types and budgets - but also reminds us that a motorcycle can take you anywhere. Established in January of 2015, Atlas is the brainchild of Art Arcinas (@nashdash), Patrick Ryan (@3rdpiston) and Taylor Pyburn (@pyburnn).